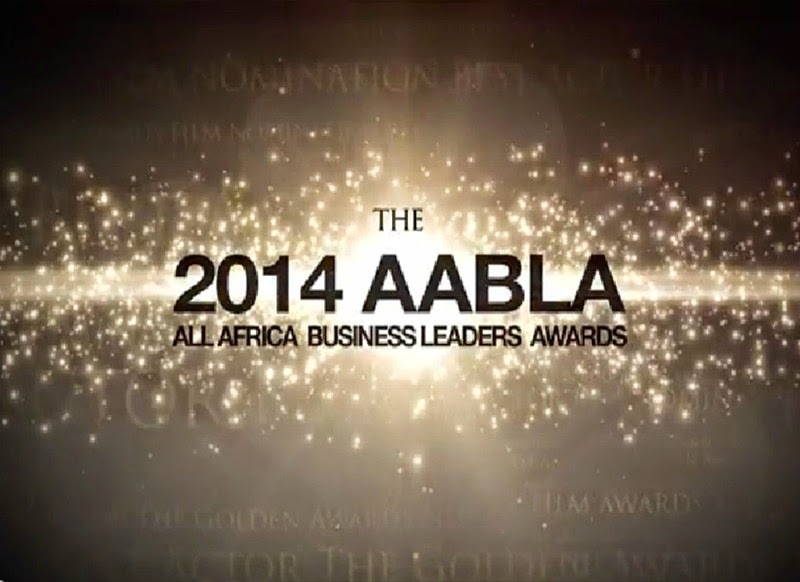 Event | CNBC Africa All Africa Business Leaders Awards Presented by Johnnie Walker Blue Label. West African Nominees Unveiled. I love attending business events. I usually reach out to PR companies of such events and I am very excited when I get invited to them. So far I have been to WOWe (Women of West Africa Entrepreneurship Conference. Where I met Eryca Freemantle) and WIE (Women: Inspiration & Enterprise) and I was hugely inspired by the women who spoke at these events. They are individuals to look up to and indeed a great source of inspiration. Yes, even women as young as I am can aspire to such great heights. No point getting there when I am old, I won't be able to enjoy it all. That is my opinion though. This time around, I not only get to be part of another Business event, but it isn't only for women this time. It is The CNBC All Africa Business Leaders Awards where the West African nominees will be unveiled and it very humbling to be invited to cover it as press. The AABLA Awards, presented by Johnnie Walker Blue Label, pay homage to the boldest innovators and business leaders on the African continent. This is a CNBC Africa event, organised by the ABN Group and presented by Johnny Walker which is a product of the Diageo (owners of Guinness, Smirnoff, J&B, Baileys, Cuervo, Tanqueray, Captain Morgan, Crown Royal, Beaulieu Vineyard and Sterling Vineyards wines,.... you know them for sure). The West African round of Africa’s most prestigious business awards, the annual CNBC Africa All Africa Business Leaders Awards Presented By Johnnie Walker Blue Label (AABLA), will take place in Lagos on October 23rd, raising a toast to the pioneers and game-changers in the region’s business landscape. With Nigeria now Africa’s top economy, the region has shown significant growth and resilience in recent years, championed by the likes of the AABLA nominees, all of whom will gather for the event to be held at the Oriental Hotel in Lagos. The West African round will be the final regional round of these esteemed awards and follows on from the success of the previous two regional rounds, held in East Africa on 20th September, and in Southern Africa on October 2nd. “The CNBC Africa All Africa Business Leaders Awards Presented By Johnnie Walker Blue Label celebrate an excellence emphasized by boldness and rare character. In turn, the Awards recognize those indelible business leaders who have made a distinctive contribution in their respective sectors by demonstrating accountability, best practice, integrity and innovation on the continent,” says Roberta Naicker, Managing Director of the ABN group. Nominees feature across five categories, representing the dynamic scope of Africa’s thriving business sector from Business Leader of the Year to; Business Woman of the Year; Young Business Leader of the Year; Entrepreneur of the Year and; Lifetime Achievement Award categories. “The nominees in this year’s AABLA Awards exemplify the game-changing vision that has helped to grow the West African economy, with Nigeria making incredible strides in this regard. Johnnie Walker Blue Label is proud to acknowledge all these individuals who, through their tireless innovation and pioneering spirit, have made a lasting impact on the continent’s business sector,” says Joe Nazzal Head of Reserve. West Africa’s business champions will then travel to Johannesburg, South Africa for the AABLA finale on November 14 where they will contend against other regional winners from Southern and East Africa for the title of Africa’s most exceptional business people in their respective fields. • The winner in this category, sponsored by Johnnie Walker Blue Label, will be announced at the event.